Nexus 10 lacks support for flash files. So if you try to stream or play flash videos on Nexus 10, you'll get frustrated. However, like most people, you may probably want to play flash on Nexus 10. Well, what should you do? Using a flash player for Nexus 10 is a great idea. For this, you can follow Part 1 to finish this job. If you still have no luck (some unknown reasons), the guaranteed solution introduced in Part 2 also can help you play flash on Nexus 10 smoothly. Step 1 On Nexus 10, go to "Settings" and then tick the "Install from unknown sources" option. After that, you need to download and install Adobe Flash Play 11.1 apk developed by XDA Developers. Step 2 Go to the Android market, find and download the great Nexus 10 flash player: Firefox Beta browser. Step 3 Since Firefox beta sets plugins to "On demand" by default, which will bring you some inconviences, so you need to remedy it. To do it, you just go to Settings -> Plugins -> Select: Enabled. Note: I have tried many browsers, such as Chrome, ICS+ Browser, and Dolphin Browser HD. None of them can work with the flash plugin for Android 4.1. It seems Firefox beta is the only browser that works with this method. And please attention that Firefox beta is not Firefox. You can directly get it here. Another way is to use a great all-in-one flash video downloader and converter, which can let you download any flash videos from most video-sharing sites to Nexus 10 for enjoyment anytime and anywhere. Compared with the former way, this method guarantees you a smooth playback on Nexus 10. That is iTube Studio. And the operation is extraordinarily quick and easy, just four simple steps. During you install this app, you have the option to select supported browsers. After installation, you can open one of the selected browsers to visit the website you want and play your favorite flash online videos. At the top-right corner of this app's Download interface, you have to enable the “Download then Convert” option. And then, in the pop-up output format list, you can go to “Device”>“Others” >"Nexus 10". Note: Once you enable the "Download then Convert" option, this app will spontaneously convert downloaded flash videos to Nexus 10 supported formats. 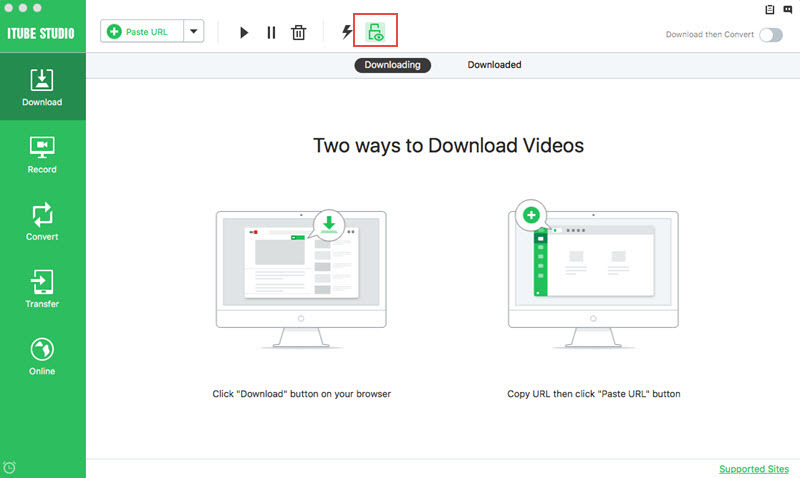 Copy the URLs of the flash videos in the browser address bar, and then press the “+Paste URL” button in the Download interface of iTube Studio. 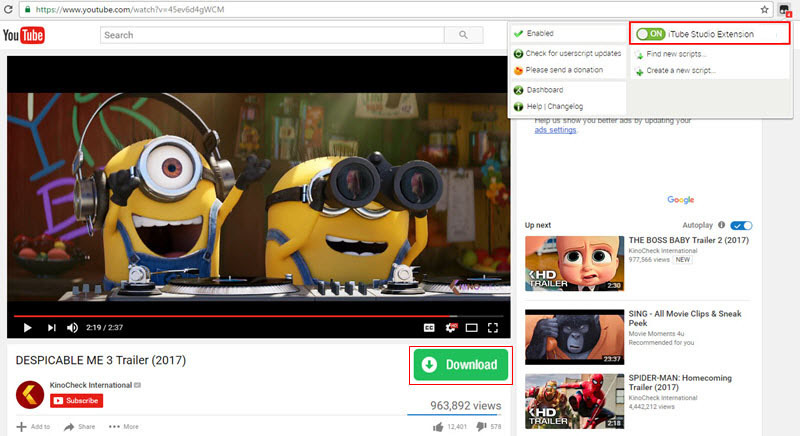 Click the floating “Download” icon at the top-right corner of each online flash video. Immediately, you can see this app is downloading videos for you, shown as follows. The blue bar will show you the progress bar. When the download is done, this app will automatically help you convert these flash videos. And at last, you can find all converted files in the "Converted" library. Go to the output folder according to the output path and find the converted flash videos. 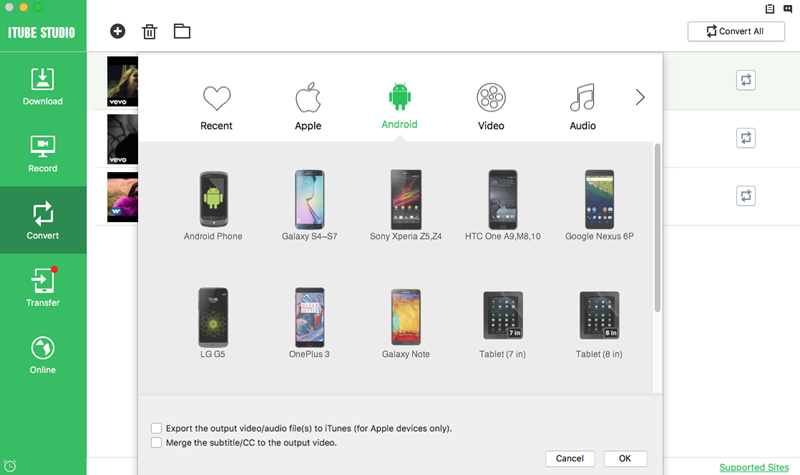 Connect your Nexus 10 device to your computer via the USB cable, and then transfer these video files to Nexus 10 for playback.